How to Learn Fluent Chinese: Start Reading! Fluency is the wonderful feeling of Chinese flowing in your mind. It’s the feeling of not needing to think carefully, one word at a time, but instead having a 语言感 (yǔyángǎn – language feel). And, believe it or not, the best way to achieve fluency in Chinese is to start reading already! Getting plenty of authentic Chinese input is the way to develop a sense of when the Chinese language “feels right.” Reading at your level—that is, reading material you can understand and enjoy—is one of the best ways to get that input. If you’re currently developing your Chinese skills through self-study, you may be unaware of how effective (and enjoyable) reading at your current level of Chinese can be for your language development, including vocabulary expansion. If you’re learning Chinese in a classroom, you might only get reading practice from your textbooks and workbooks, which isn’t necessarily the best strategy to use reading to improve fluency. Reading at your level is a somewhat neglected strategy, but it’s both a key self-study strategy and a great accompaniment to formal Chinese classes. Not to mention, you need to learn how to read Chinese in order to really know the language. How Can You Start Learning to Read in Chinese? Reading Chinese script is notoriously difficult. It may take native English speakers a long time to become proficient. Chinese material written for native Chinese speakers is extremely challenging when you’re in still in your first few years of studying Chinese—and frankly, it might not interest you enough right off the bat. It might seem too intimidating to be worth the time and trouble to try to read it. So, coming up are some tips about why, how and what to read in Chinese, even if you’re in your first year of studying. How I wish I’d heard these tips when I was in my first few years of acquiring Chinese! They’ve helped me reach an advanced level of proficiency more pleasantly than I’d ever thought possible. For a long time, I avoided reading much in Chinese because I thought I needed to be making lists of vocabulary and studying difficult texts written for native speakers instead, regardless of how challenging or uninteresting those approaches were for me. Once I learned about some of the principles below, things changed. I started to enjoy reading because I took the pressure off myself and read more appropriate material… and my reading ability grew considerably more than when I forced myself to struggle through. Stay tuned to see my favorite techniques for learning to read, as well as some recommended reading resources for all levels of learners. You may already be sold on reading widely. You may recognize the benefit of starting at your current level of comprehension as a way to increase your Chinese proficiency. In case you need some more motivation to get you started or keep you going, there are many studies of pleasure reading and its benefits in second language learning. Your natural grasp of Chinese grammar—that is, the way that native speakers tend to put sentences together—increases rapidly through free, voluntary reading. By reading, you’ll gain a much more solid feel for the language than you would just trying to memorize grammar rules in isolation. By reading, you can also develop the ability to think in Chinese, leading to stronger conversational ability. To start thinking more fluently in Chinese, you’ll want to focus more specifically on extensive reading. Extensive reading is a special type of reading activity, where you delve into longer-form writing for longer periods of time. You’ll need to really enjoy whatever you’re reading, and you’ll need to totally get in the zone. While it may seem counterintuitive that one’s thinking and speaking ability can increase through plenty of exposure to written language, it does make sense if you really pause to think about it. Reading a lot of Chinese puts the language in your head, so to speak. If you’re reading novels and first-person accounts of events, you’ll learn how people write Chinese from a personal perspective, which is how you’ll eventually be thinking to yourself in Chinese. In turn, this all helps you improve your ability to speak from your perspective, which is what you’ll need to have conversations. Over time, that Chinese starts to become more and more familiar and natural. It spills out into your own spoken Chinese. Sometimes that improvement feels incremental in comparison to memorizing dialogues, but be patient with yourself; giving yourself plenty of input leads to lasting fluency. Your Chinese writing can improve through extensive reading. It’s often said that avid readers are better writers, and research backs up that claim. So, think about what kind of writing you’re mostly planning to do. If you wish to improve your letter and email writing, read many letters and emails. If you want to improve your short story writing, read many short stories. However, the benefits of reading one genre impacts all of your writing, since once again, plenty of Chinese input that you can understand helps you develop a holistic sense of how the language works. Concerned about the HSK (Hanyu Shuiping Kaoshi)? In case you’re unfamiliar, this is a test of Chinese proficiency and it’s a major Chinese university entrance requirement—so, it might be something you’ll want to consider taking someday. Extensive reading for pleasure is an excellent preparation for the HSK, as well as any other test of proficiency. A study of Japanese students preparing for the TOEFL (an English exam for international students wishing to study in US universities) showed that voluntary reading increased their TOEFL scores as much as intensive Academic English courses. This, along with other studies of learners of other languages, suggests that similar benefits exist for those of us learning Chinese and hoping for an excellent score on the HSK test. If the above points haven’t convinced you, perhaps a list of 81 generalized gains from free, voluntary reading will give you that extra push to start reading and to make it a regular part of your language learning routine. Even if you’re not a frequent reader in your native language, you might discover that extensive reading in Chinese becomes a pleasure in its own right, beyond its assistance in reaching your Chinese language goals. This translates to a whole new world of fun that you never would have experienced without learning to read Chinese. The kind of reading material that you choose will determine how much you enjoy reading Chinese and how beneficial that reading will be for you. How can you tell that a certain choice of reading material suits you right now? You won’t need a dictionary to understand it well. If you need to look up many words just to get the general meaning, seek out simpler material for now. Save that more challenging reading for a later date. In fact, going back to re-read after a few months can be very encouraging! It helps you feel your progress over time. Every few months, I used to return to what was initially a very challenging lesson about the novel “Dream of the Red Chamber.” It became easier every time I read or listened to that lesson, and this made me become aware of how much progress I was making over time, which was otherwise subtle and gradual enough that I didn’t always realize it was happening. FluentU videos can be used in the same way. If you find a video that’s too challenging to really grasp, save it in your favorites and return to it. Every few months, go back and watch while re-reading the subtitles. Enjoy how much breezier it feels each time you return to it! When considering what difficult level of reading you want to start at, keep in mind what approach you should be taking to reading. The kind of reading you want to do isn’t intensive reading. Intensive reading involves searching through your dictionary and engaging in lots of effort to understand. As we touched on earlier, you’re going to want to be doing much more extensive reading. This means you’ll be reading widely and at great length at your level. The reading should be relatively smooth sailing, and you shouldn’t need to stop much at all to understanding what’s going on. Another term to describe a similar type of reading is narrow reading, which is reading material that’s at your current comprehension level and that’s focused specifically on a topic or genre that you really want to learn about. Either way, your reading should feel enjoyable and interesting to you. Comic books are okay! Picture books for one-year-olds are okay! Children’s books are okay! In fact, the visual support of picture books and comic books might be just right if you’ve found reading in Chinese somewhat unpleasant or overwhelming in the past. Magazines on a topic you enjoy could be just right reading material. Reading “junk food” texts, that might not be considered difficult or intellectual, can still be good for your language development in many ways. There may be a time and place for a little bit of intensive reading when you’re studying for a course or for a particular purpose, like understanding the lease your Chinese landlord asks you to sign. In general, though, reading material that’s about 98 percent comprehensible is what will increase your reading speed and comprehension, and it’ll help you pick up the meaning of unfamiliar words without consulting a dictionary. You might occasionally want to look up the pronunciation, this being Chinese script and therefore not especially phonetic, but your comprehension should still be solid if the material is at an appropriate level for you. While you read, you can make things more pleasant with a few tricks. One simple way to help yourself while reading is to use a notecard under the line of text you’re reading. You might even use a second notecard to block out the lines of text above the line you’re on. The notecards help your eyes track on the words without the distraction of other lines of the text. Try it and see if it makes reading feel easier. When unavailable, asking a Chinese friend to read aloud to you is a wonderful way to make reading that much more enjoyable. Hearing the emotion and emphasis in the voice of a skilled reader helps make the reading more comprehensible and interesting at the same time. If you have a Chinese friend willing to read aloud for you, record him or her! You can use that recording again when you re-read on your own later. For short stories, re-read the whole story again. In a longer book, re-reading a chapter might be the right amount. Often, the first time with a reading passage will feel a little more clunky as you’re pulling the meaning out as you read. On a second time, or even a third pass on the same passage, you’ve got a sense of the overall meaning and can see more of the details each time. By the third time, if there are still any unknown words, you might have found a couple that are worth looking up in a dictionary. You might also have discovered a few phrases or sentences worth recalling again later along the lines of the technique called sentence mining. Reading online is made simpler by add-ons such as Peraperakun and Zhongwen. While those tools make it easy to check the pinyin and definition of words, remember that if you’re very frequently checking the meaning of unfamiliar words, you may have reading material that will be better saved for the future. 5. Give yourself a big pat on the back! Perhaps the biggest gift you can give yourself as you develop a Chinese reading habit is to celebrate what you can already do now, not to think about what you can’t do yet. It can be easy to feel “behind” or to compare yourself to other Chinese learners, but don’t let those comparisons steal your joy. Sometimes sharing good news with a friend who supports your Chinese language aims can be very encouraging. So, have a celebration when you finish your first full book! Sometimes language learners seek out children’s books designed for native speakers’ children. However, Chinese children’s books aren’t always the best choices at those early stages of Chinese reading development. Chinese children’s books tend to have quite a few specialized, not very high-frequency words. They also may include both pinyin and characters in view together, with characters shown with pinyin directly above it. For those of us with native languages that use an alphabet, like English, all that pinyin can be a serious distraction from seeing the characters while we read. Not to mention, there’s the fact that children’s books are likely to be more interesting to, well, children. So, children’s books have a few drawbacks for Western learners who are above middle school age. However, there’s some published Chinese material that’s been designed with Western learners in mind, even suitable for your first few months of reading Chinese. It’s the perfect blend of simple and enjoyable. We’ll take a look at this now! A couple of online reading options include The Great Mandarin Reading Project, which is a growing collection of free reading material by Chinese teachers and students from around the word. You can also submit your own edited writing to that collection. For intermediate readers, the text adventure game, Escape, is an interactive way to read. You’re the main character, trapped in a room that you need to escape, with choices that determine what happens next. In terms of paperback books, I know of only two authors creating books for those who can only read less than 200 characters and who aren’t heritage speakers of Chinese. Some of their early-level readers involve only 20 to 30 characters. Terry Waltz’s books can be found at TPRS Books. A longer starting-level book is “Susan有麻烦” (Susan yǒu má fan; Susan has hassles), which begins quite simply and grows in complexity through the storyline. Her stories and illustrations tend to be quirky and refer occasionally to US pop culture, a familiar plus when facing the newness of reading in Chinese. Haiyun Lu’s books can be found at Ignite Chinese and her seven books are numbered by complexity. Her main characters are cats, though the stories deal with friendship and family dynamics that relate to real-life issues faced by all of us. The books are also beautifully illustrated. Once you’re beyond that initial level of reading, your world of accessible stories in Chinese with support for non-native Chinese readers opens up. When you can comfortably read about 300 characters, there are two series of engaging stories to recommend first: “Mandarin Companion” and “Chinese Breeze” graded readers. Though those publishers often call their books beginning-level, they may not be easy enough pleasure reading if you’re in your first year, studying on your own or if you’re in a high school or middle school foreign language program. Once you’re ready, they’re excellent! “Mandarin Companion” books are retold well-known English books, such as a Sherlock Holmes story, “The Secret Garden” and “The Monkey’s Paw,” but each is placed in a new, Chinese setting. “Chinese Breeze” readers have a variety of genres and sometimes surprising plot turns, and several choices at 300-, 500- and 750-character reading levels. A personal favorite is Chinese Breeze’s spooky supernatural story, “Green Phoenix,” which is at the 500-character level. What’s after those series of graded readers? Before you’re ready for real world novels written by Chinese for Chinese, you might try a series of short stories called “Tales & Traditions.” Those stories will help your Chinese and introduce you to cultural stories, Chinese history and philosophy, and some of the stories behind chengyu, four-character-long idioms that are frequently a part of more formal Chinese writing. Once you get beyond the idea that reading in Chinese is too difficult to enjoy, then the walls really come down. You’ll be reading Chinese in a heartbeat, and you’ll love it. 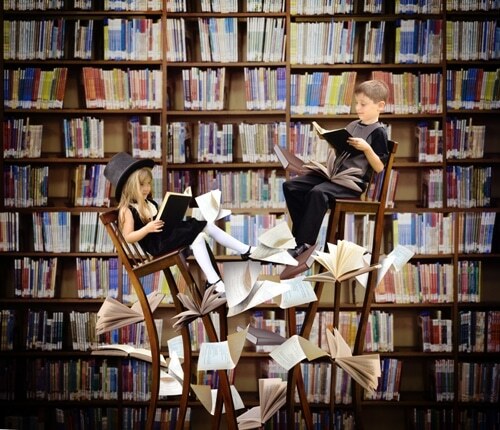 So, you’ve read about the benefits of reading at your level for enjoyment. You’ve seen some pointers on what reading to select and what to do while you’re reading. You’ve even got some great sources of early-level reading material that might interest you. The next step is your own: What will you read next? Diane Neubauer is a second-language learner of Mandarin, and a high school Chinese teacher who has taught five-year-olds through adults. Besides learning and teaching Chinese language, she enjoys raising laying hens and spending time with her husband. She blogs at www.tprsforchinese.blogspot.com.